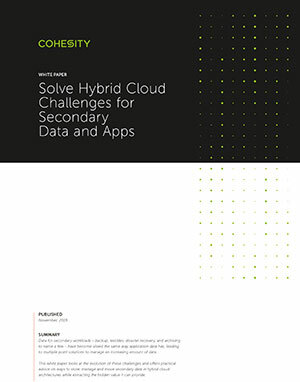 The public cloud needs to be part of your hybrid cloud strategy for secondary data. Legacy data protection solutions, however weren’t architected with the cloud in mind - they don’t have a cloud-native architecture, require bolt-on products, and are expensive. By 2020, the number of enterprises using the public cloud as their data center backup destination will double to 20%. 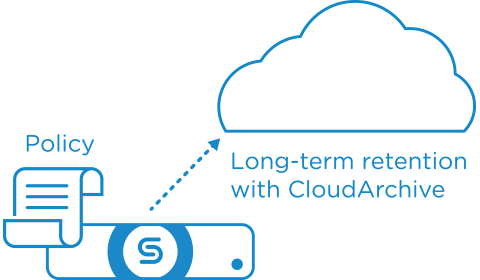 Enable policy based archival of older snapshots on-premises to the cloud for long-term retention. Reduce reliance on tape and lower TCO. Provide an easy way to retrieve data back to on-premises and recover data to a different site. Utilize policy-based thresholds to move cold data to the public cloud. 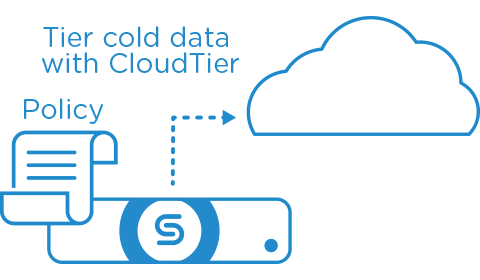 Leverage cloud storage as another tier. Tier data back to an on-premises cluster. Use your backup data as more than an insurance policy. 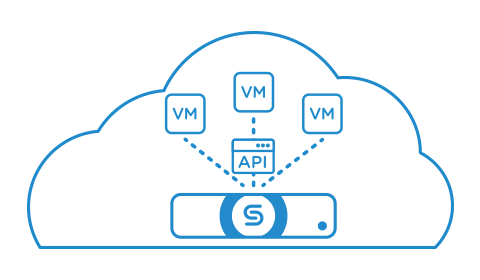 Easily provision new applications and VMs in the cloud for test/dev using your backups. Or move on-premises applications and VMs to the cloud. 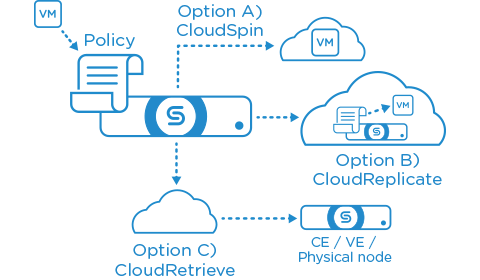 Replicate to the public cloud from on-premises for cost-effective disaster recovery. 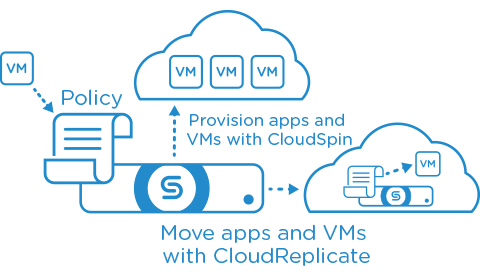 Spin up cloud instances of VMs with automatic format conversion. 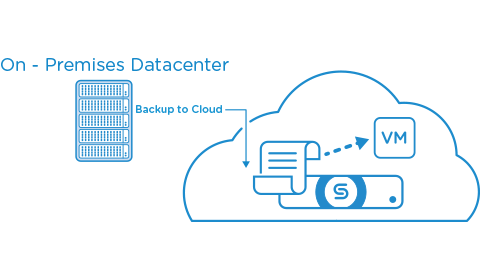 Backup on-premises applications and send backup data directly to the cloud without requiring backup software and target storage on-premises. Protect cloud applications with API integration. Achieve best-in-class operational efficiency by leveraging integration with public cloud snapshot APIs. 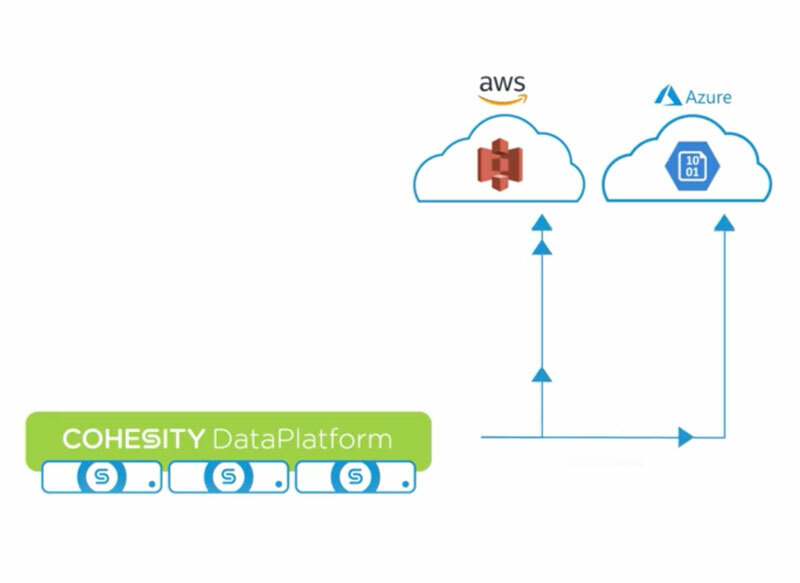 Want to learn more about Cohesity Cloud Solutions?